After understanding how to get rid of old posts (sorry moderator) here is the MG08 thread re-energized. Hoping to learn more about theMG08. 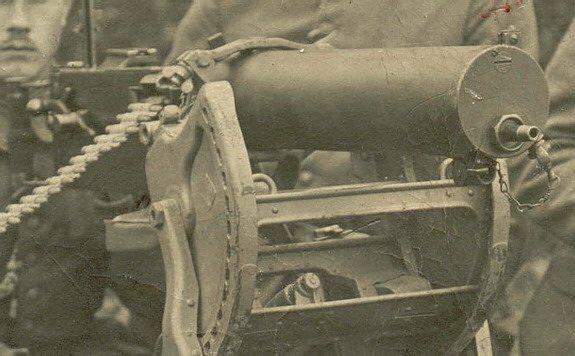 The MG08/15 thread will also start. Many of the images will show pieces for discussion. Now the next hurdle is to replace all the PHOTOBUCKET images. PHOTOBUCKET have changed their policy so all MG08 imagery will be replaced. My first sled purchased from a private collection in Belgium whilst with NATO. The sleds prove a source of much discussion ref the 3 patterns, and which were exclusivly German Imperial. I am still of the view that all 3 were made by Germany but as the war went on for economy purposes certain 'boxes' were discounted. The only fact I can ascertain that goes against this (but the counter is certain factories continued with the same pattern throughout)is a 1918 dated fully 'equipped' sled, ie oil boxes, spare part box etc etc. Are they all yours ? Currently Regimentals are selling a sled for £6000! I wont be able to add much to this thread as the 08 is beyond my finances now and I am glad I got my 08/15 when I did as they are astronomically costly now too. Lovely images and likewise are they all yours! 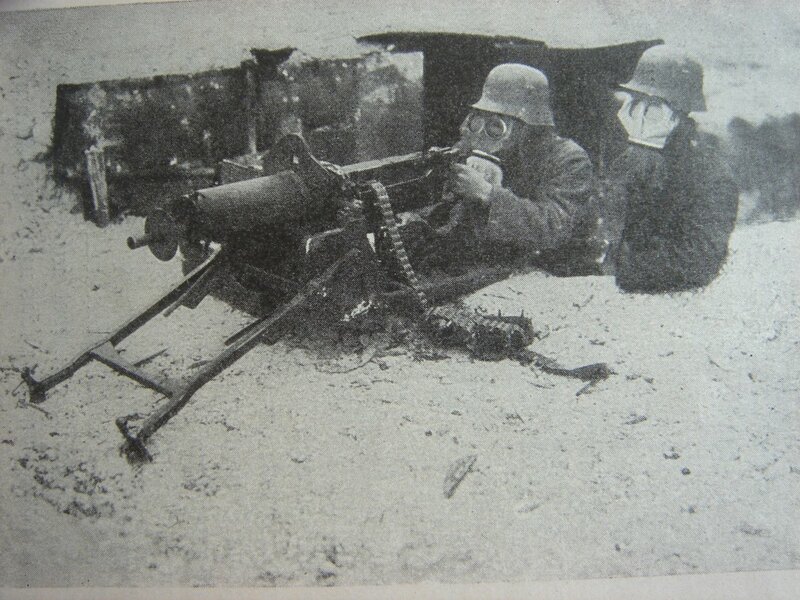 Another image of the MG08 DP SKL. Interests:British military Small Arms and ammunition. Nice to see those big shackles where the gunners could be chained to their guns. If you have the time I would not mind a more detailed photo montage of the components we are looking at. Joe thanks. It has taken some time which is a fact of life all collectors/enthusiasts have to contend with! Which components would you like to see. Accessories or parts of the wpn or sled? I still seek many 08 & 08/15 accessories so do not have the ability to make visible everything. Interests:My interest is the Vickers Machine Gun. I am always interested in any aspects related to the gun, it's usage and it's development. I am also interested in helping others to understand the gun and expand their own knowledge and collections. Great stuff Mark. Hope you're well. Lovely Maxims, all!! Mark's internet contributions on a number of US sites with serious MG content have been very helpful and entertaining and now we finally get to see what he's been hiding in his house all this time. I suspected it all along!! The cutaway Maxims are very unusual and I have not come across an example in the US. US law requires even a cutaway MG to be registered, which is pretty bizarre. It seems that no cutaway Maxims ever made it to the US. So, great to see Mark's collection here and hopefully, as time goes by, lots more pics of arms, small or large collections, will be added. 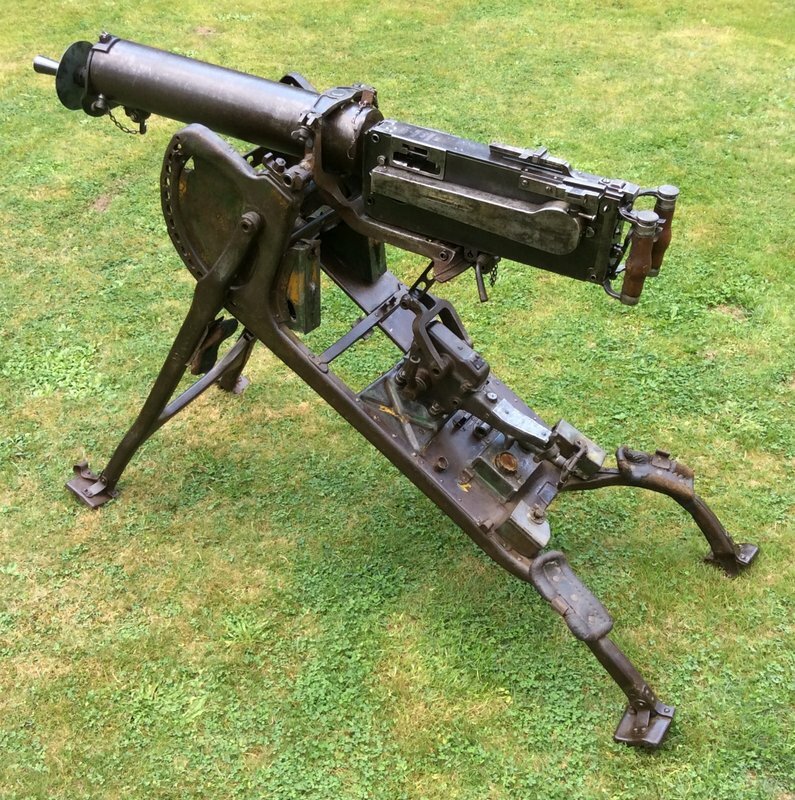 Since Mark has initiated an MG08 thread, I have posted two pics of a very unique MG08 in my colleciton. It is quite amazing that this very early MG08 survived, that it came to the US and was legally registered, and I am incredibly lucky to have foiund it. It is the 39th MG08 manufactured by DWM and is all matching except for the lock and barrel. It is live and I have shot it quite a bit at local shoots. I don't believe there is an earlier MG08 in existence anywhere, or at least any that I've heard of. Dolf Goldsmith, the dean of Maxims has seen this gun and he hasn't encountered an earlier 08. Aside from the date of its manufacture, I am very interested in learning more about the unit that used this gun. 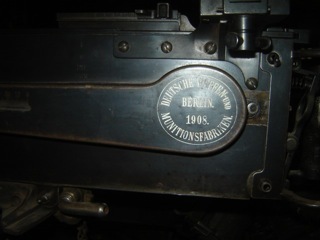 The unit markings can be seen on the topcover: 35 R. MG; 1; III; 1. 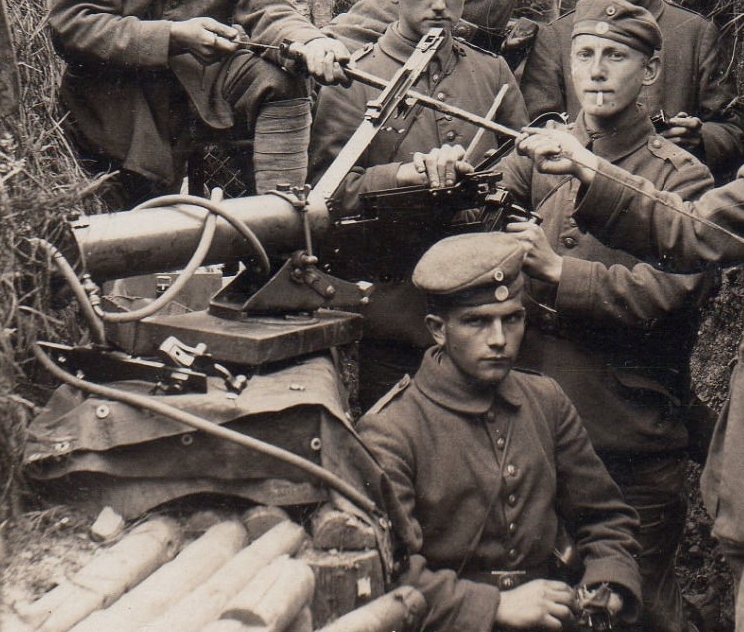 This site seems to be the gold standard fror WWI information, so hopefully there are some historians of the German MG units who can shed some light on the history of the unit to which this gun belonged. Bob (BRMCII) my humble collection pales into insignificance when viewed alongside yours and don't forget I am always available to marry you!!! (current wife permitting). I am sure the members and myself are v excited to see your displays so get your camera ready because I alone will have lots of questions. Ref your MG id request I have passed this onto 2 very knowledgable chaps (one of whom wishes to remain covert) so I hope to be the one to offer some good news! Is there a prize!!! Have a few dozen friends waiting for adoption papers to come through and my wife has put her foot down about multiple wives regardless! 8^) As I've noted many times, i'm basically the current caretaker of the collection which will eventually disperse into the collections of other caretakers, so with that perspective, I'll add that I am incredilby fortunate to have started buying up these kinds of arms in 1970, with a few DEWATs acquired when I was young teenager in the fifites. A fortuitous advantage to MG addicts was that MGs were regarded by most gun enthusiasts after WWII as junk! This lasted for many years, although in the early fifties a few US importer/retailers who liked MGs made a huge effort to create a collector market for them, and brought in thousands of MGs that were made inoperable to comply with the laws of private possession that were enacted in 1934. At some point I'll make a go at posting some pics. Hopefully your prodding of the fellows who are historians of WWI german military orgainization will generate some info on the regiment history of the 08. As far as a prize, probably a hearty 'thanks" and three "atta boys"....You are always welcome to visit here if the opportunity should ever arise and we can take out a Maxim for a spin. Thanks for posting all the great vintage pictures! What a magnificent set up,are there any markings on the water can? Close up image of the BFA. There were several types of ammunition cans during WWI - here are the standard 250 rd pattern. 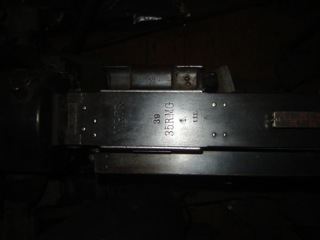 Some examples of the ZF12 MG08 gun sights. great view of the muzzle cup which is pre 4 piece muzzle assembly. Some imagery of a battle damaged sled. Is the Zep one new?